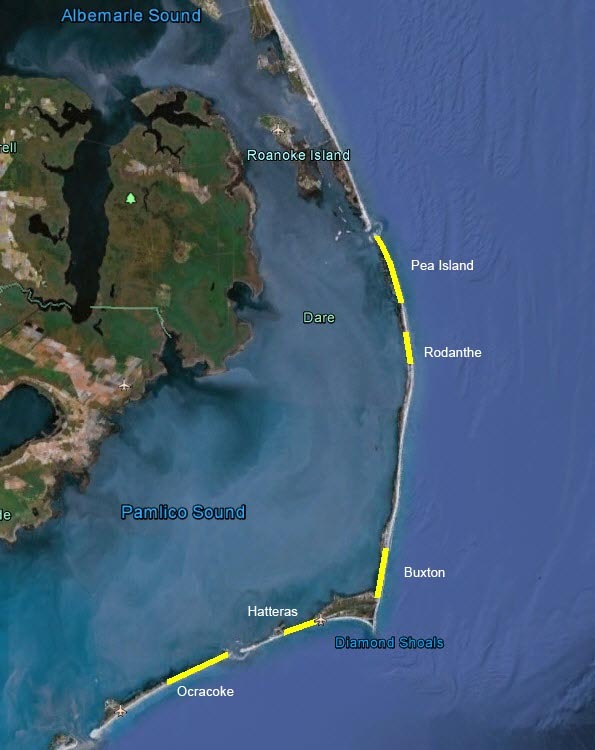 Hurricane Sandy Imagery covering from Ocracoke Island to Kitty Hawk along North Carolina coast is available for download. Click here for metadata. The North Carolina Department of Transportation shall not be held liable for any errors in this data. This includes errors of omission, commission, errors concerning the content of the data, and the relative positional accuracy of the data. This data cannot be construed to be a legal document. Primary sources from which this data was compiled must be consulted for verification of information contained in this data. Warning: Some of the files on this page are large and will consume a large amount of bandwidth and / or take a long time to download. When possible, we would appreciate downloading occur during our non-peak hours, weekdays before 8:00 and after 5:00 and weekends. Also, we recommend you have a high speed network access for the fastest and most reliable download.